So,what’s the go with GINGHAM ? Gingham is as iconic as the Chevron print...remember two season ago? And it doesn’t seem to have any trouble slotting straight back in to current street trends and is not disappearing anytime soon. If you don’t own a piece yet 2018 is the year to become a proud owner of some Gingham. 2) Select shoe and bags that don’t complete with the pattern e.g white sneakers, cane handbags. 3) Choose 1 statement piece of jewellery such as a chunky ring, bangle, don't go overboard with jewellery. Let the pattern be the hero. 4) Wear with classic basics -denim and or whites -denim and gingham have had a long standing romance so you can’t go wrong. And Whites and gingham are #bffs. Both of them will create a stylishly natural look. 5) Don't be scared to do double gingham. The key to pulling off this look is to play with small and large checks together. I prefer to do the double gingham look in the same colour, like in my images below. But you could mix and match gingham colours e.g black and white gingham with a pink and white gingham. Remember gingham embodies a fresh simple looks so there is no need to complicate it! If you would like to know more about how to style your wardrobe pieces, check out my STYLE SERVICES . Want more? Check out some of my gingham inspo on my Pinterest page @KARENUHLMANN. 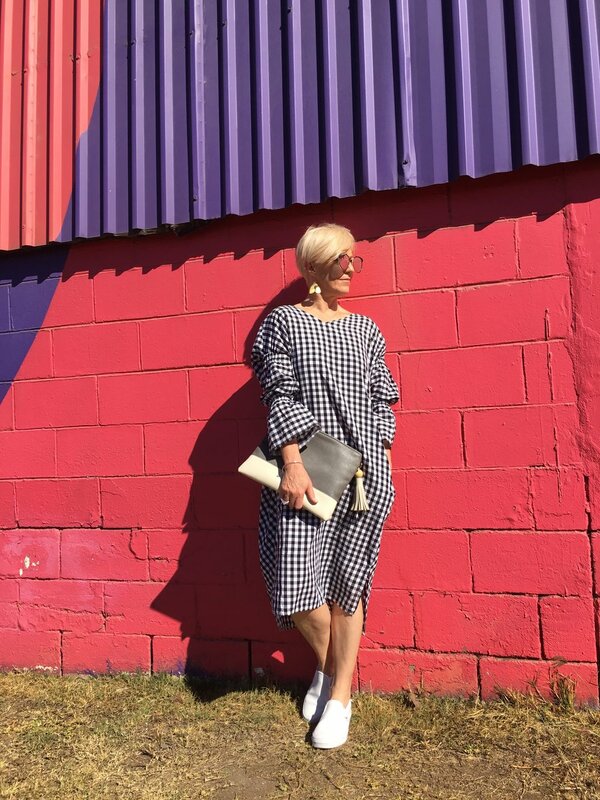 Lastly, Gingham go-getter share you gingham get-ups with me by mentioning @SUSTAINABLESTYLING and tagging #sustainablestyling.